I have fallen in love with all things foxes and about died when I found this fox pirate nursery decor from Mouse and Magpie. It is whimsical, sweet, and still “little boy” enough that it can grow with my baby into toddler and preschool years. I wanted to find something that matches the feel of our house. I like light colors to help the room feel light, open, and calming. 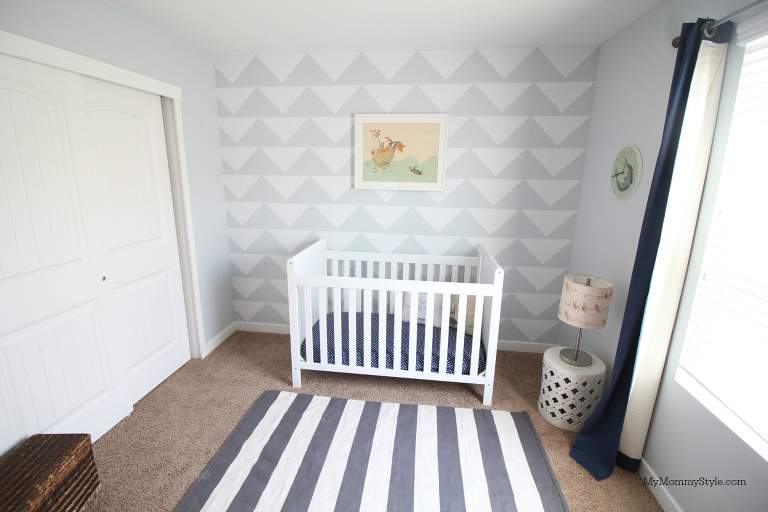 My nursery wall is made of DIY vinyl triangles, you can find the tutorial here. Mouse + Magpie is a child inspired, adult curated collection of delightfully designed products and furnishings created specifically for little people with big imaginations. Each collection is made by an artist that designs the whole collection which makes bringing the whole look come together really easily! If you purchase a set you will get an incredibly soft sherpa blanket, darling framed photo, clock, unique lamp, and throw pillow. 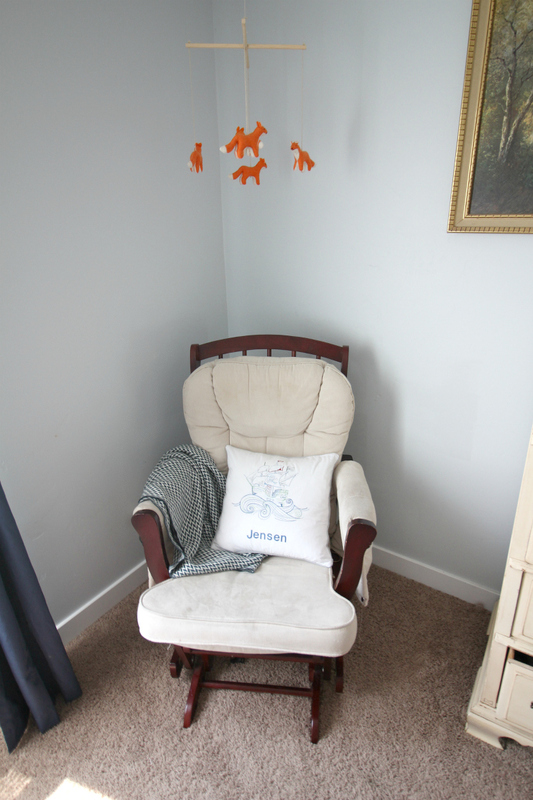 Because I already had an obsession for foxes, of course this hand made mobile from hello, birdie birdie that fit the room perfectly. My mom is incredibly talented and made this pillow of the pirate ship to match the room, she is the best! My favorite part of this collection was how much Jensen loves looking at it. I catch him looking at this picture above his bed all of the time. It looks like the fox is telling the turtle about a secret adventure, sharing directions to a map, or on the hunt for a brand new horizon. I love it. This collection is full of fun little details and surprises, like the darling pirate mice pulling ropes along the lamp’s drum. I love that. I hope you are just as inspired by this nursery as I am, it was so much fun together and I even convinced my husband to let us get a new crib as the one we had before was almost 10 years old! 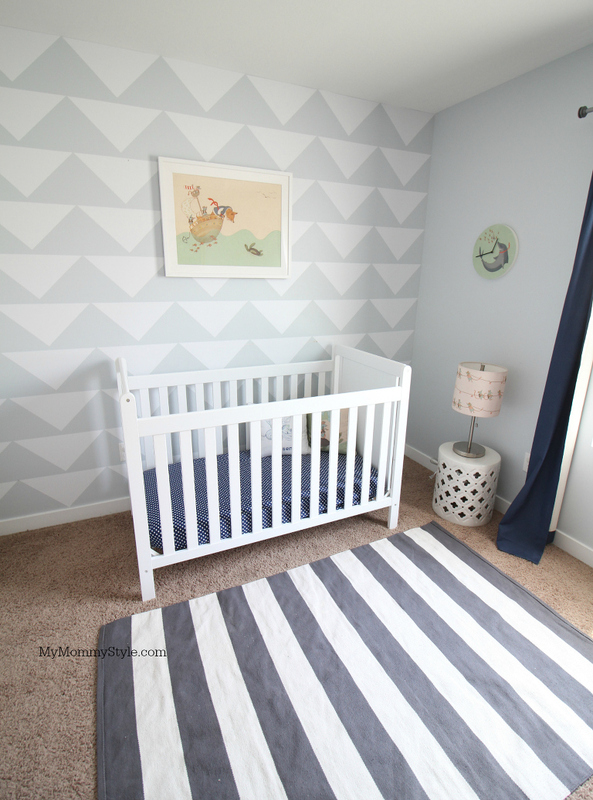 I love the clean lines of this crib and how it makes the artwork, bedding, and accessories of the room pop! You can shop all of the different designs on Mouse + Magpie to find a collection that speaks to you. There are so many darling designs! My kids are already asking for their own Mouse and Magpie Sherpa blanket, it is seriously the softest blanket in our house. You can find prints for babies, boys and girls. The unicorn collection has my eye for sure. Enter to win $400 credit from Mouse + Magpie by entering our giveaway on Instagram! blanket and (1) Sherpa blanket.